3800301 450H John Deere 450H. Crawler Dozer. Spare Parts Catalog. Service (workshop) Manual. Operator's Instruction Manual. 3800302 450J John Deere 450J. Crawler Dozer. Spare Parts Catalog. Service (workshop) Manual. Operator's Instruction Manual. 3800303 550J John Deere 550J. Crawler Dozer. Spare Parts Catalog. Service (workshop) Manual. Operator's Instruction Manual. 3800304 650J John Deere 650J. Crawler Dozer. Spare Parts Catalog. Service (workshop) Manual. Operator's Instruction Manual. 3800305 700H John Deere 700H. Crawler Dozer. Spare Parts Catalog. Service (workshop) Manual. Operator's Instruction Manual. 3800306 700J John Deere 700J. Crawler Dozer. Spare Parts Catalog. Service (workshop) Manual. Operator's Instruction Manual. 3800307 750J John Deere 750J. Crawler Dozer. Spare Parts Catalog. Service (workshop) Manual. Operator's Instruction Manual. 3800308 850J John Deere 850J. Crawler Dozer. Spare Parts Catalog. Service (workshop) Manual. Operator's Instruction Manual. 3800309 850JR John Deere 850JR. Crawler Dozer. Spare Parts Catalog. Service (workshop) Manual. Operator's Instruction Manual. 3800310 950J John Deere 950J. Crawler Dozer. Spare Parts Catalog. Service (workshop) Manual. Operator's Instruction Manual. 3800311 1010 John Deere 1010. Crawler Dozer. Spare Parts Catalog. Service (workshop) Manual. Operator's Instruction Manual. 3800312 1050C John Deere 1050C. Crawler Dozer. Spare Parts Catalog. Service (workshop) Manual. Operator's Instruction Manual. 3800313 1050J John Deere 1050J. Crawler Dozer. Spare Parts Catalog. Service (workshop) Manual. Operator's Instruction Manual. 3800314 2010 John Deere 2010. Crawler Dozer. Spare Parts Catalog. Service (workshop) Manual. Operator's Instruction Manual. 3800316 750Ñ John Deere 750Ñ. 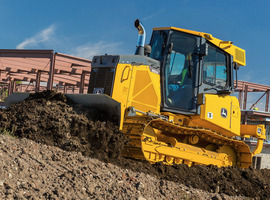 Crawler Loader. Spare Parts Catalog. Service (workshop) Manual. Operator's Instruction Manual. 3800317 755D John Deere 755D. Crawler Loader. Spare Parts Catalog. Service (workshop) Manual. Operator's Instruction Manual. 3800318 850C John Deere 850C. Crawler Loader. Spare Parts Catalog. Service (workshop) Manual. Operator's Instruction Manual.